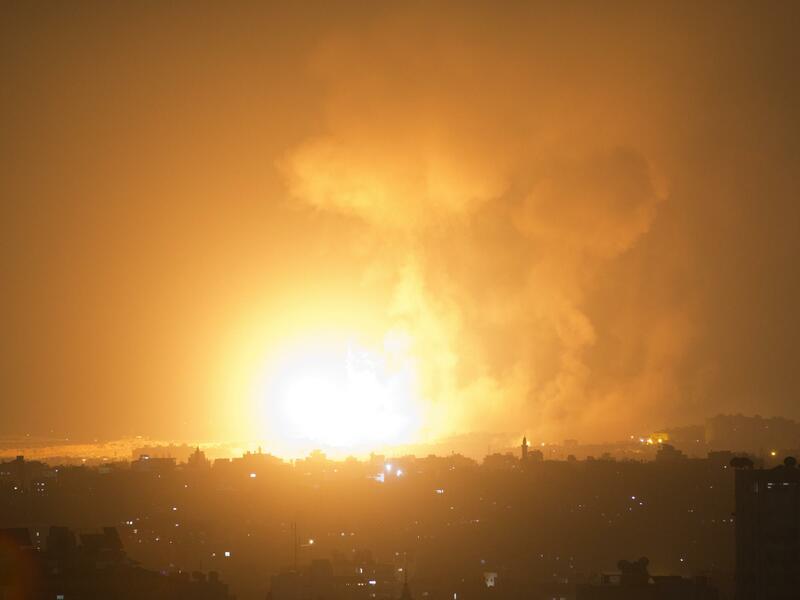 An explosion caused by an Israeli airstrike on Gaza City early Thursday. Hamas claimed responsibility for the rocket attack and a tweet issued by a spokesman for the militant group, Abdullatif al-Kanoo, was translated by Al Jazeera as saying that the Palestinian resistance "is in self-defense and has a duty to respond to the aggression against our people." "The escalation of the barbaric shelling of Gaza and the deliberate targeting of civilians [by Israel] is premeditated and the [Israeli] occupation will suffer the repercussions and pay a higher price for its crimes," he said, according to the news service. A senior Israeli Defense Forces official warned Hamas in a tweet that it "will understand in the coming hours, as in the past months, that this is not the direction it wants to chose." Hamas wants an Israeli-Egyptian border blockade to be lifted, while Israel is demanding an end to the rocket attacks, border protests and the launching of incendiary balloons over the border. Despite the escalation between the two sides, The Associated Press quotes an unnamed Hamas official as saying that cease-fire talks were in their final stage even though disagreements persisted. He said Israel has offered only an easing, but not an end, to the blockade.